Though Apple is said to have just inked a deal with a rival chipmaker, the iPad 2 currently includes a custom-built A5 processor built by Samsung. Chipworks this week disassembled the new iPad 2, and also took a closer x-ray look at the A5 processor that powers the second-generation device. The experts concluded, by comparing the shape of the transistor gates and dielectric layers in the A5 to last year's A4 CPU, that the A5 is currently being manufactured by Samsung. That's the same conclusion reached by an analysis at UBM TechInsights, revealed by AppleInsider on Sunday. While Samsung has long built chips for Apple's mobile devices, news came last week that Apple has allegedly signed an agreement with an alternative chipmaker, Taiwan Semiconductor Manufacturing Co., for production of the A5 processor. 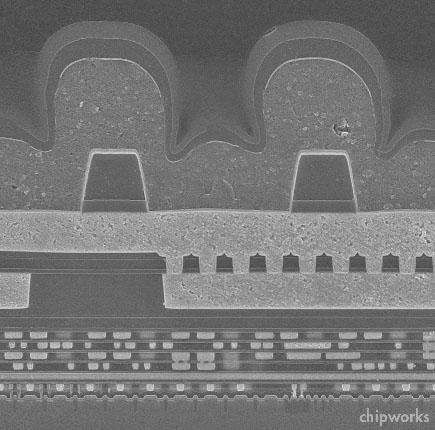 That led to speculation that Apple may already be working with TSMC for the CPU inside the new iPad 2. But the conclusion from Chipworks would suggest that Apple may gradually phase out its chipmaking partnership with Samsung and transition to TSMC. Apple is said to be interested in switching from Samsung because the company competes with both the iPhone and the iPad with its own devices —the Galaxy S smartphone and the Galaxy Tab tablet, respectively. Apple Chief Executive Steve Jobs even called out Samsung in his unveiling of the iPad 2 earlier this month. He called the 7-inch Galaxy Tab and other Android-powered tablets inadequate, and suggested Samsung would lead 2011 to become the "year of the copycats" as competitors scramble to compete with the iPad. Apple's drubbing of Samsung comes as the Cupertino, Calif., hardware maker is expected to be the largest customer of Samsung in 2011. Between deals for mobile processors and flash memory, Apple is expected to buy $7.8 billion in parts from Samsung this year. 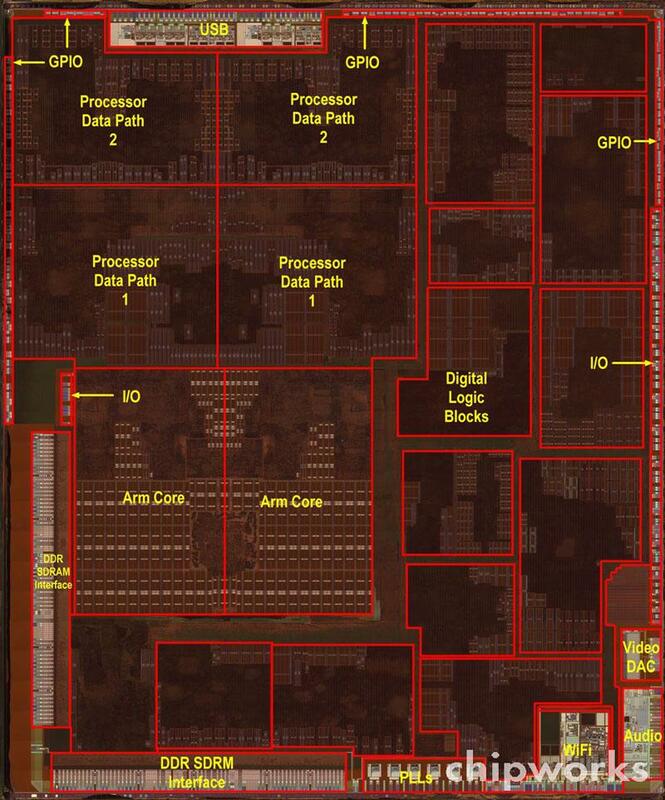 Chipworks' closer look at the A5 found that the new dual-core processor is more than twice as large as last year's A4 CPU. 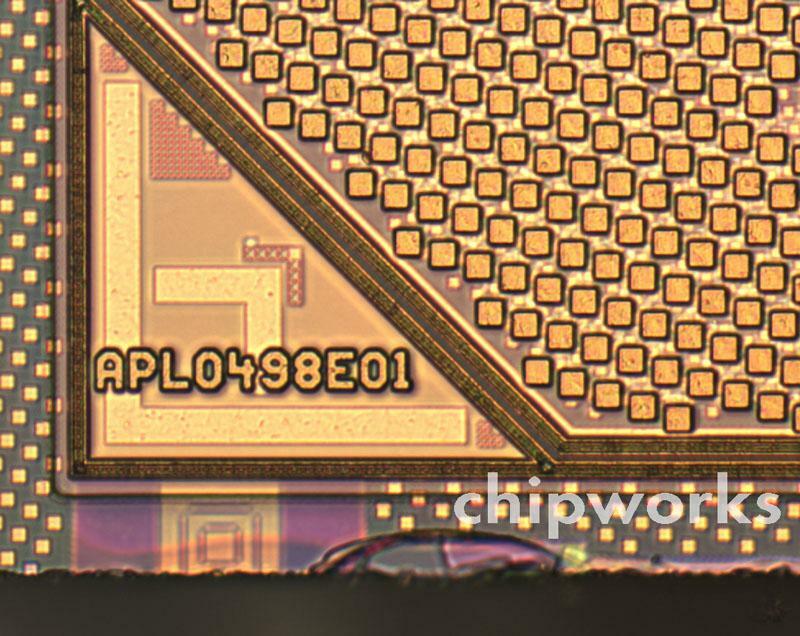 The new chip is 10.1 x 12.1 mm, compared to 7.3 x 7.3 mm in last year's iPad. "Given that the A5 is a dual-ARM core, and has more graphics capability than the A4, more than doubling the size is to be expected, but it's also a clue that this is still made in 45-nm technology," they said. Delayering the A5 processor and its nine layers of metal found the two ARM-based cores in the right half of the chip, each with about 4.5 megabytes of cache memory. The integrated 512MB of DDR SDRAM is also included in the bottom right. 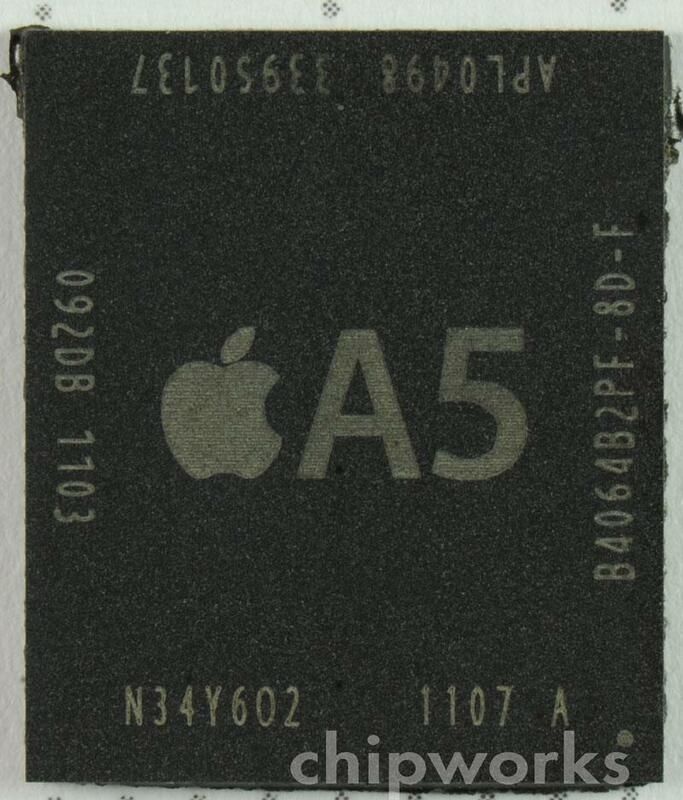 Chipworks concluded in its teardown that the A5 is the "main innovation" of the iPad 2 internally. Aside from the new processor, the device's touchscreen relies on three chips, just like the first-generation iPad, and the CDMA 3G model utilizes the same chipset that shipped on the Verizon iPhone in February. For a closer look at the rest of the iPad, see the iFixit teardown that discovered a slight increase in battery size in the second-generation device. The same company also took a peek inside the iPad 2 Smart Cover and its 21 magnets.